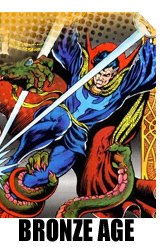 WHAT IF MARVEL MASTERWORKED .....EVERYTHING? 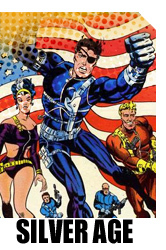 Welcome to the hub page for all the different areas of Marvel Comics past that could be visited by Masterworks! Each section of maps, linked to the right of this sidebar introduction, details one of the many different worlds of Marvel Comics, from the Golden Age that dawned in 1939, up to the 80s and 90s! To access each page, just click on the image for the section which you'd like to go to. Each section is clearly marked: Golden Age covers the superhero comics of the Marvel line before Fantastic Four, with maps of a dizzying array of potential titles. 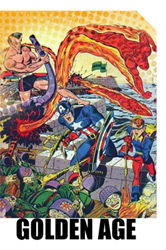 Silver Age carries maps of all the superhero books of the Marvel Age of comics, plus the "Atomic Age" monster comics, as well as other odds and ends from the period. The maps to take care of the Bronze Age comics of the 1970s were so many that it takes two pages to cover them all! Also, there is a page dedicated to the best comics of the 80s & 90s, hidden under the link titled Modern Age. The maps were put together by a staunch crew of zealous Masterworks advocates, primarily Cleazer, Gary UK and Steve Rogers. 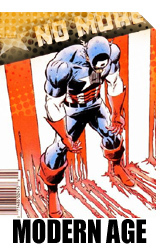 Mockup images have been provided by David Spofforth and Scarlet Spider. And yours truly, Gormuu, is doing his level best to keep things going! On behalf of the What If? crew, I hope you all enjoy these pages. Much of this section of the site is still under construction, so check back often to see if titles you're interested have received any attention. And just to clarify, these maps are all squarely in the land of "make believe." 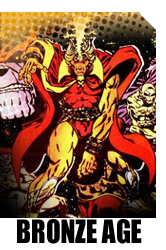 This is our best guess at what may lie ahead, and under no circumstances do we say with a straight face that Marvel could, should, or will print a Ziggy Pig and Silly Seal Masterworks! But the potential viability of a particular Masterworks is less important to us than imagining...."What If....?" Marvel's mainline titles from the 30s through the 50s Superhero titles of the 1960s and Monsters of the 50s/60s! 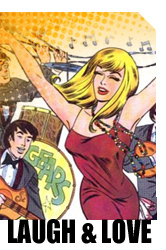 Mind-Blowing Marvel Tales from the age of Disco, Afros and Richard Nixon! Get Cosmic, Baby! More 70s Marvel than you can shake an Evil Eye at! 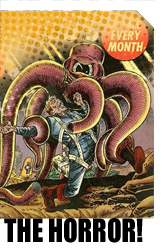 Marvel's Horror Comics of the 40s/50s Yuck it up or fall in love with Marvel's Millie, Patsy, Romance, and Humor Comics! 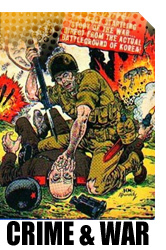 and War Comics of the 40s/50s! 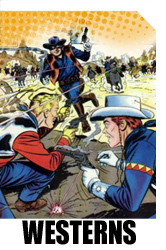 The Western comics of the 40s through the early 70s! Masterworks of the 80s and 90s? You betcha!